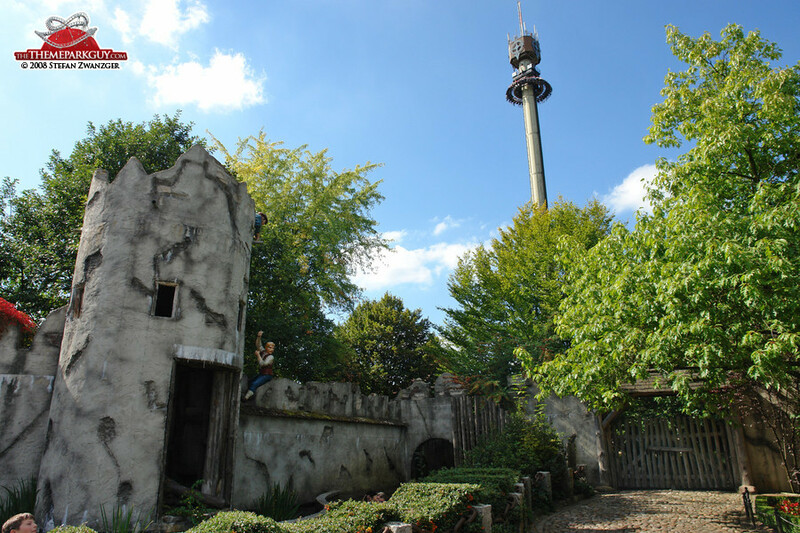 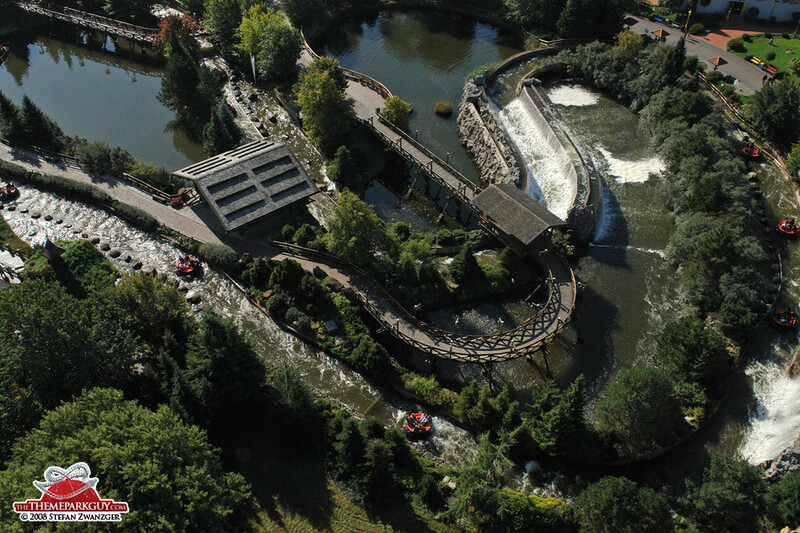 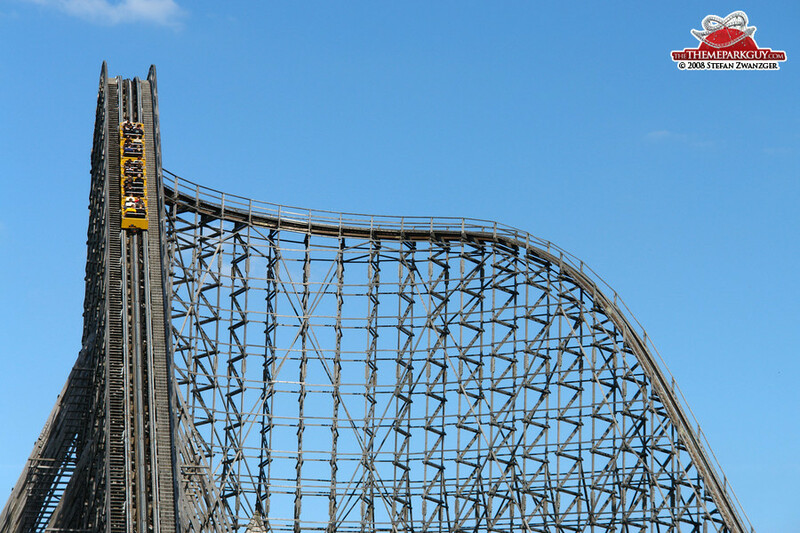 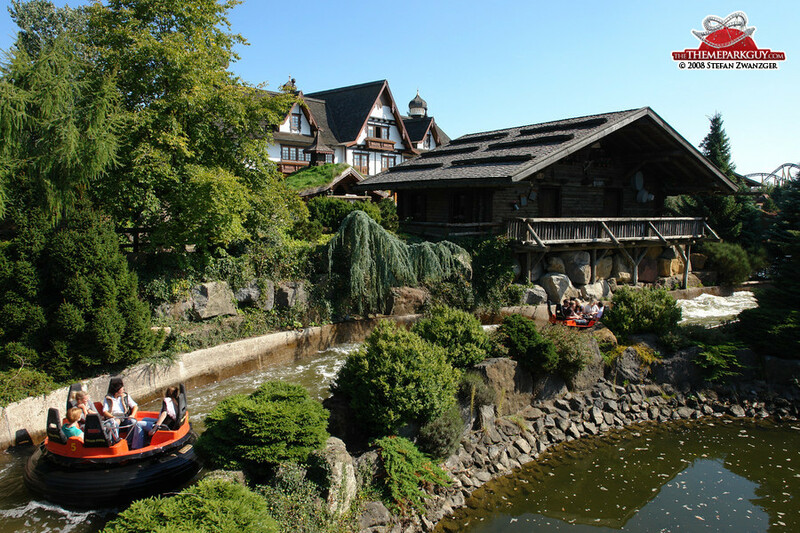 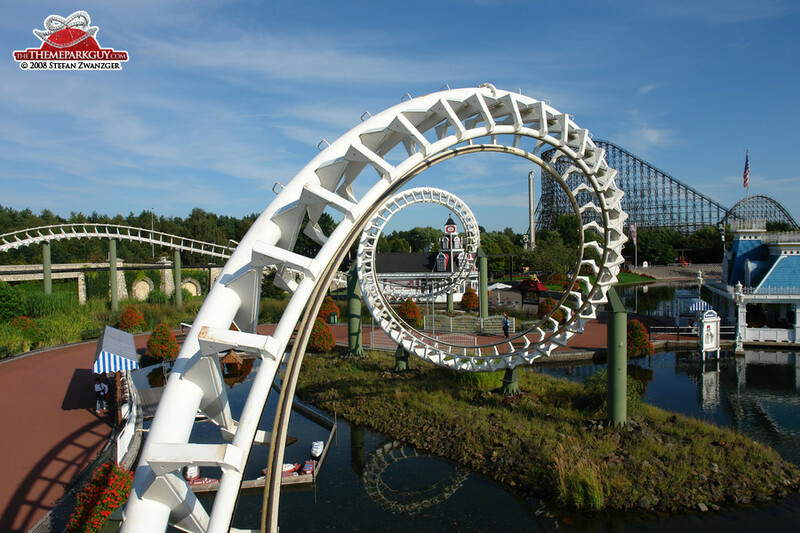 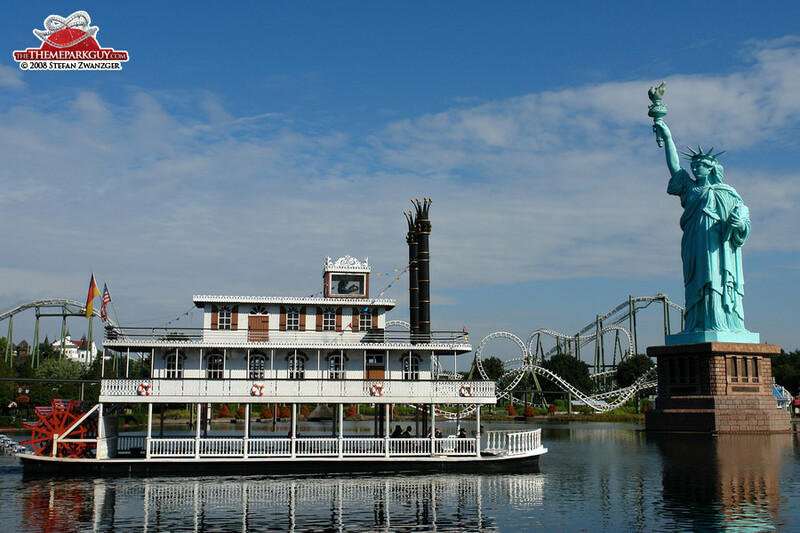 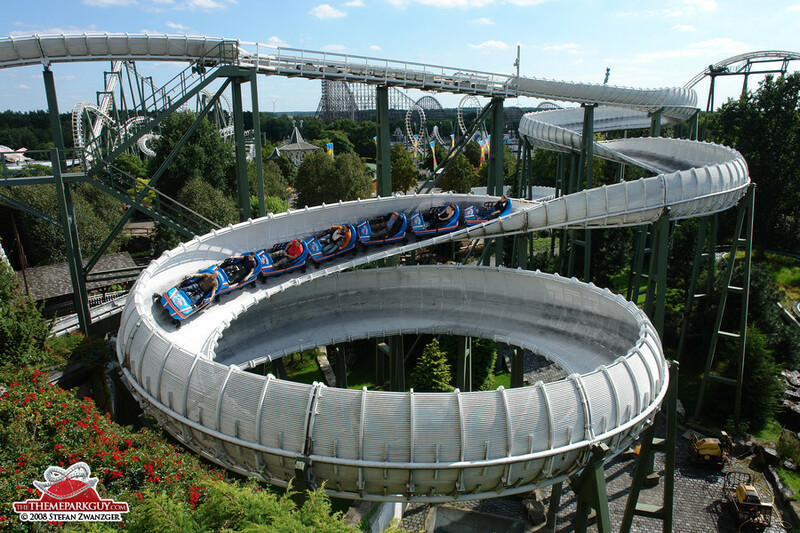 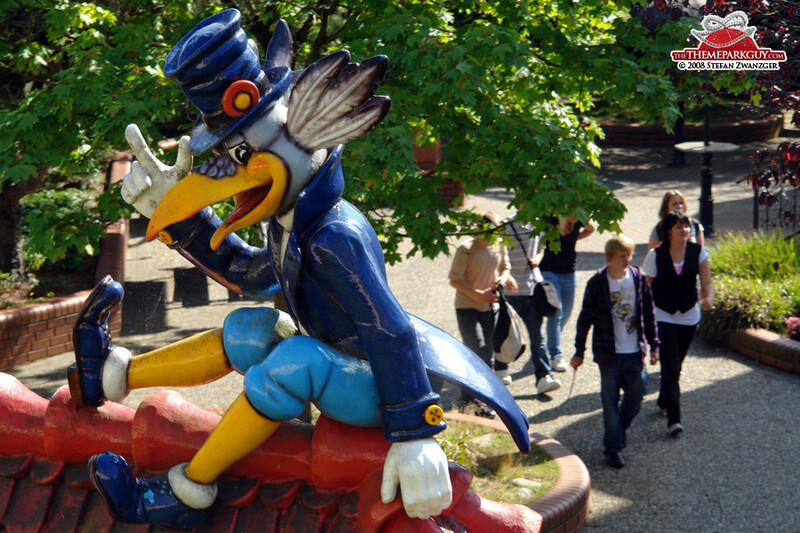 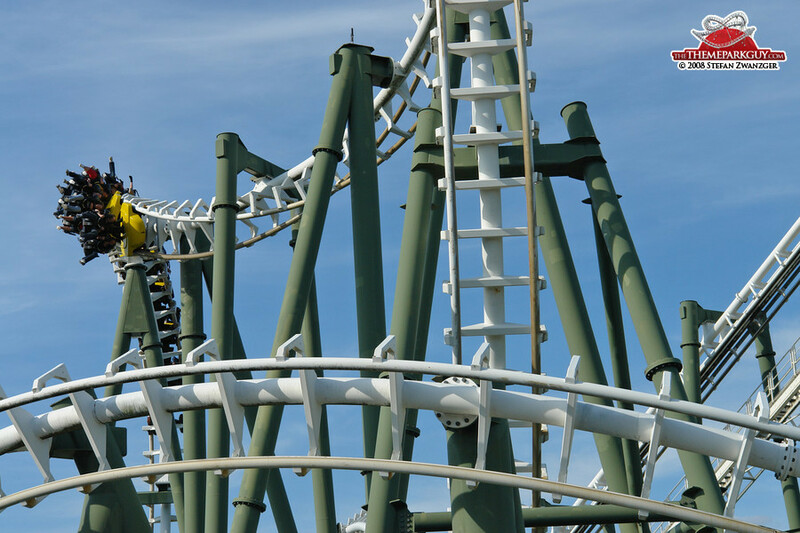 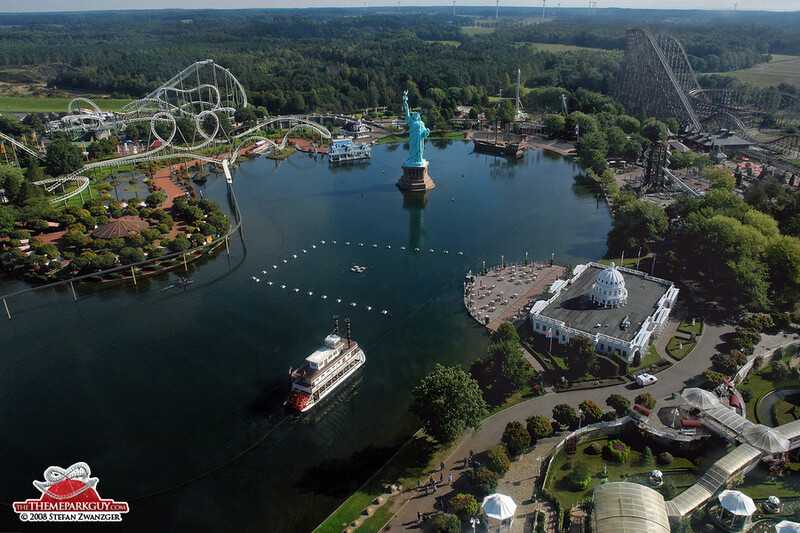 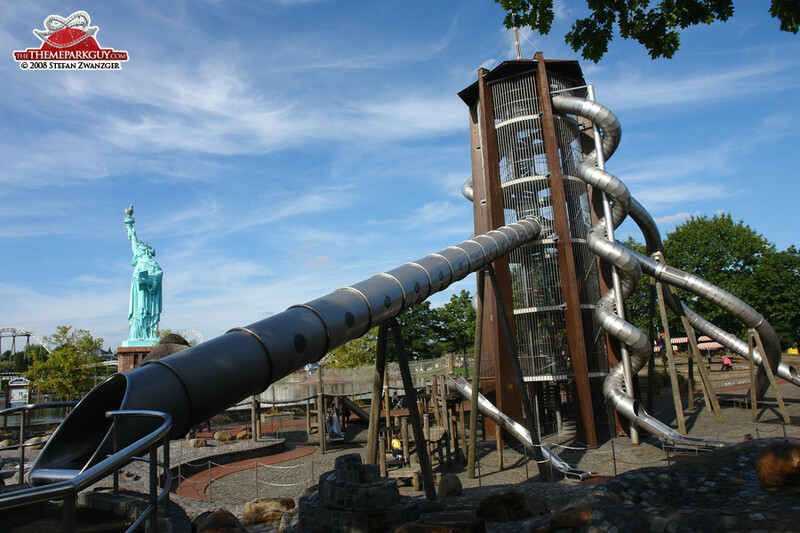 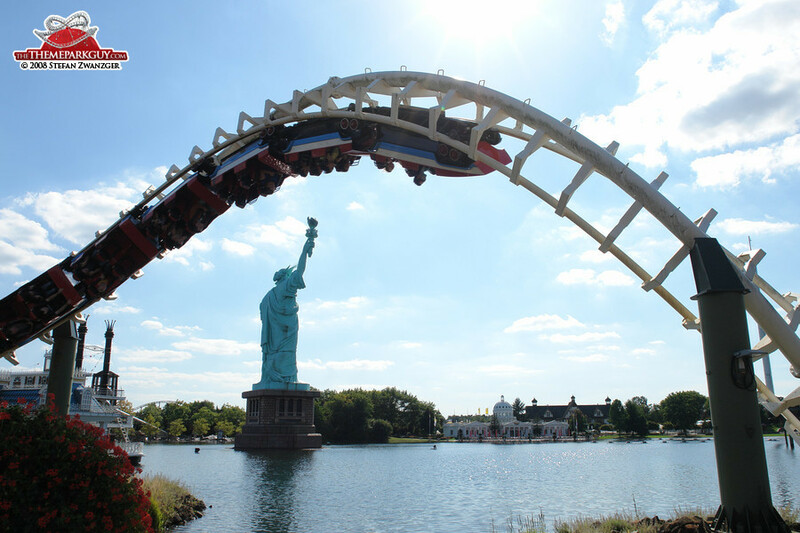 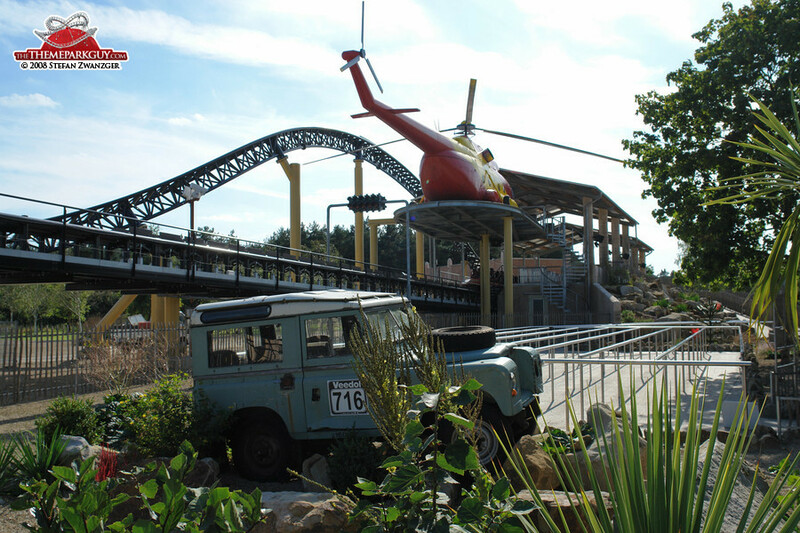 Heidepark's defining feature is the eye-catching Statue of Liberty replica in the middle of its huge lake. 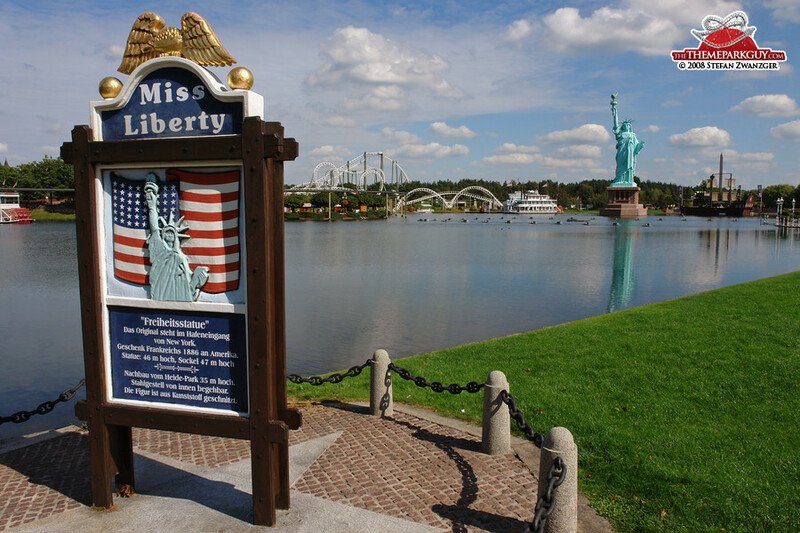 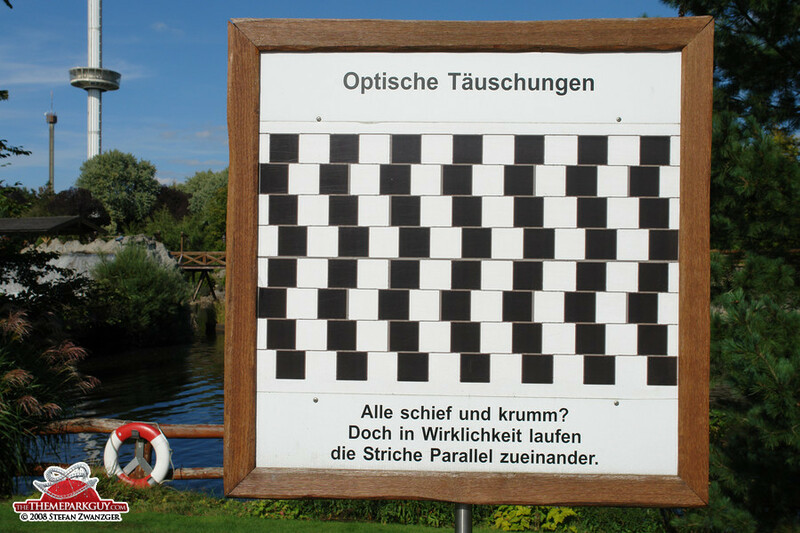 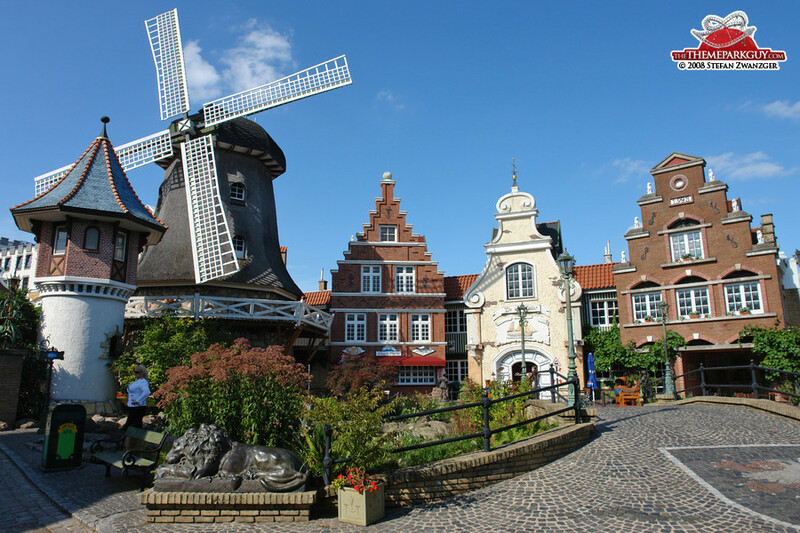 Errected on July 4, 1986 and applauded by then-president Ronald Reagan via telegraph, the statue had considerable political significance, due to the park being located merely 70 km (45 miles) away from Eastern Germany, then Soviet territory. 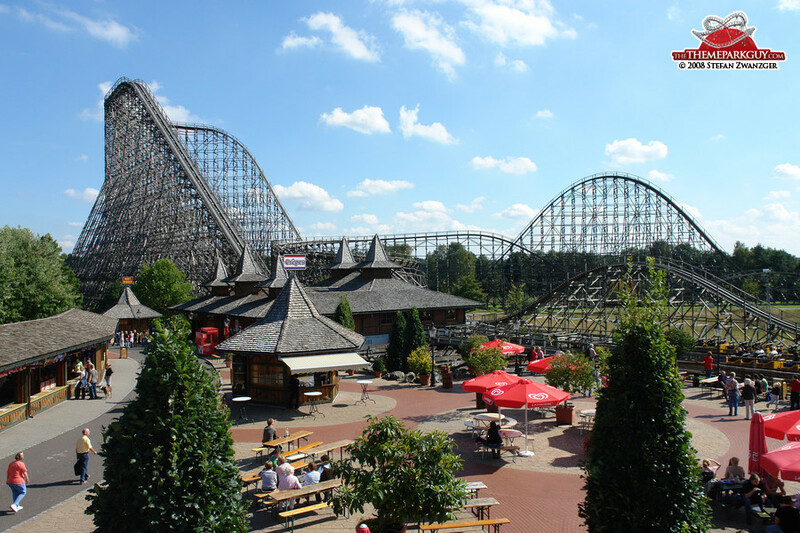 Numerous roller coasters wind across the park landscape: wooden, steel, looping, hanging and magnetic coasters - a pretty impressive collection for a non-American theme park! 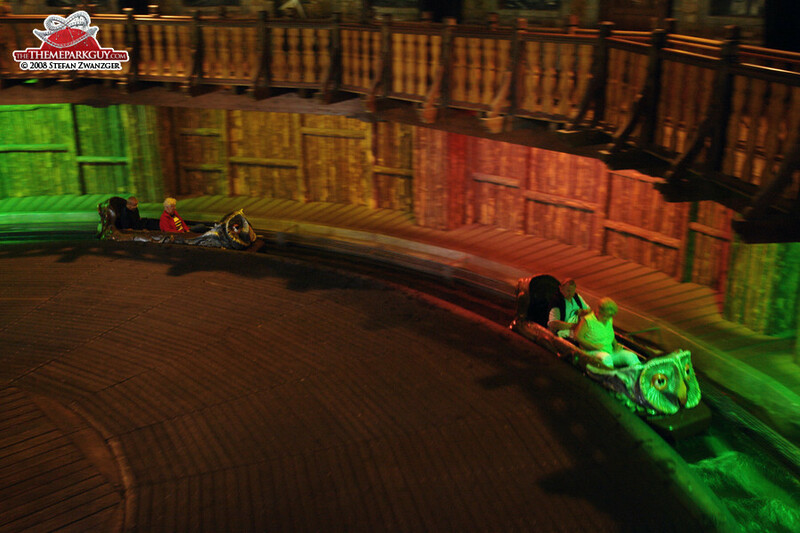 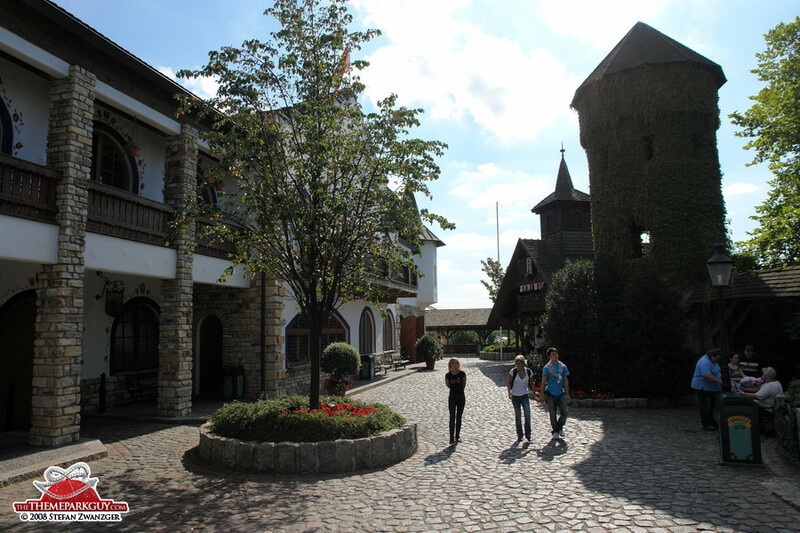 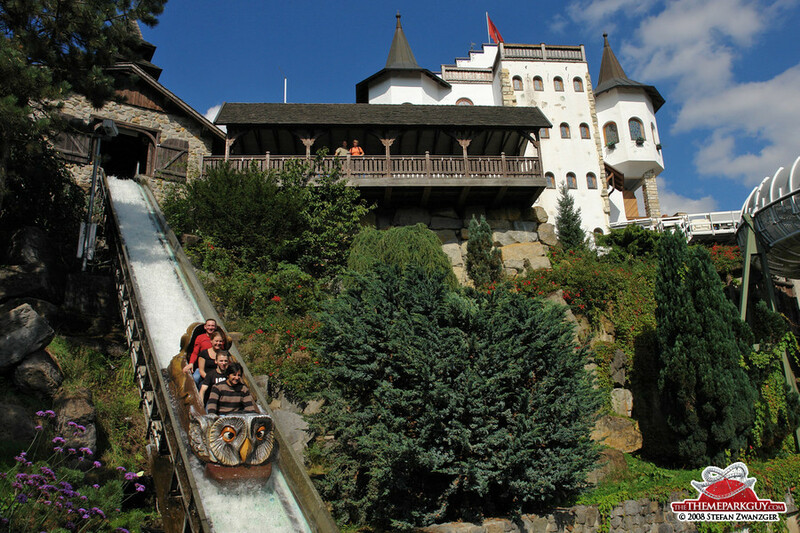 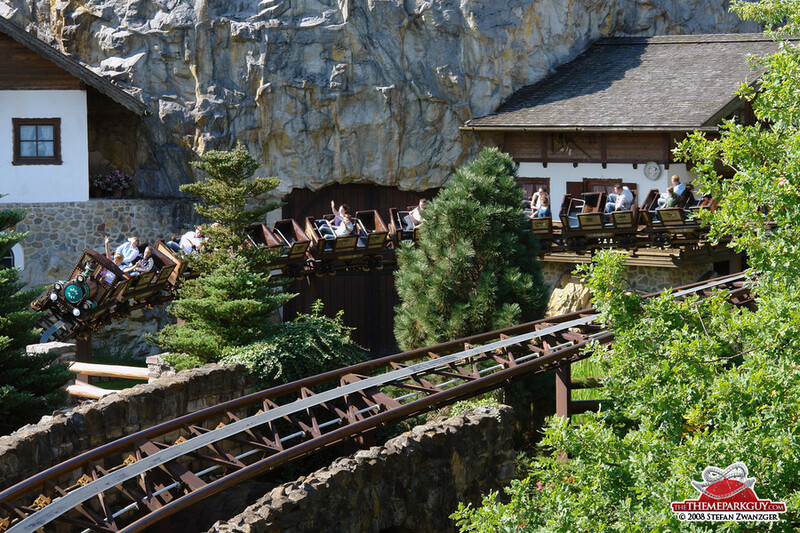 In addition, there is a good, swiss-themed bobsled run and some decent flume rides. 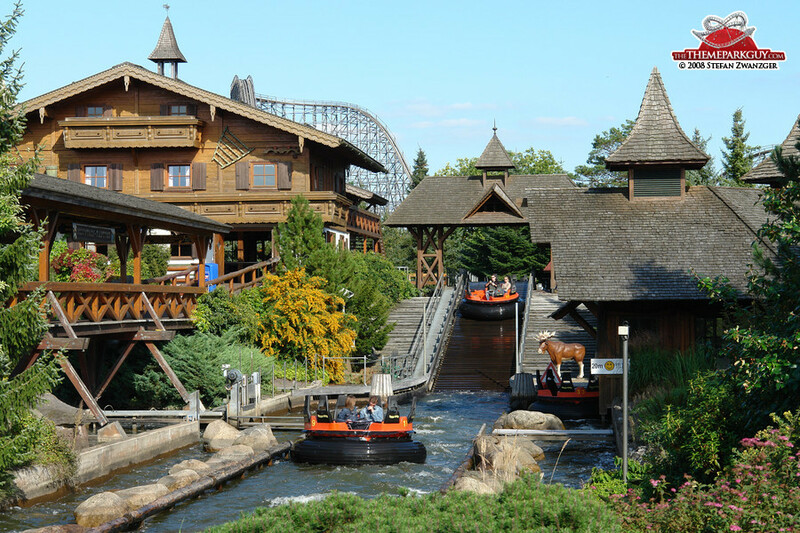 The general layout and setting of the park is very idyllic, with green meadows fringing the central lake, all surrounded by an endless forest.